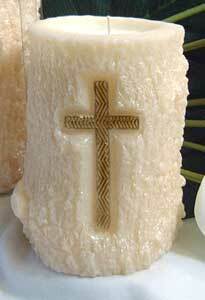 Old Rugged Cross Candle is molded from an oak tree branch. The cross design is handpainted in gold. Candle is available in white or brown with your choice of fragrance.